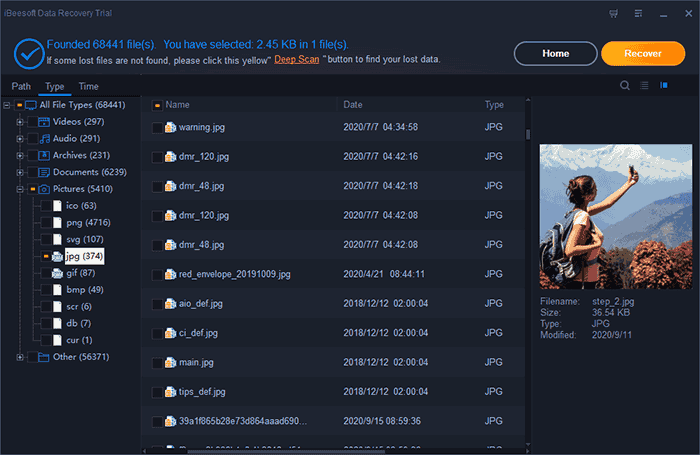 "How can I recover deleted videos from CCTV?" – It’s a common question among a lot of people. You use your webcam every day to call your friends or make videos of yourself, recording stuffs you do in front of your laptop/computer. These webcam videos are very special to you so losing them or deleting them is never an option for you or anyone else. How about you have CCTV cameras around your house or your office and the videos recorded by those cameras are also important. Whenever something happens or you want to access the videos to know what happened at a certain time, then those CCTV footage videos help you a lot. The problem is, many people accidentally lose or delete their webcam videos or CCTV footages. They don’t know how to recover deleted webcam videos or how to recover deleted CCTV footage. This is the article that you should read to solve your problem. By reading this article, you will learn everything on how to recover lost webcam videos easily on your computer. So without wasting any more time, start reading now. You will get a huge number of the webcam video recovery software around the internet that can recover deleted webcam videos. From all those tools, how will you know which one is going to be the best tool that can give you a guaranteed 100% successful result? iBeesoft Data Recovery tool is that one of a kind software that can help you with that. This amazing software will allow you to recover lost webcam videos in your computer within a very short time. You will have the best data recovery software in your hand that can not only recover deleted video from CCTV but also recovers a lot of other data file types in no time. It can recover almost all kinds of lost and deleted files in Windows PC or Mac, like videos, photos, audios, documents, archives, PDF files and more. It can provide data restoration in situations such as operating accidental deletion, fromatted drives, reset devices, system crash, virus attack etc. 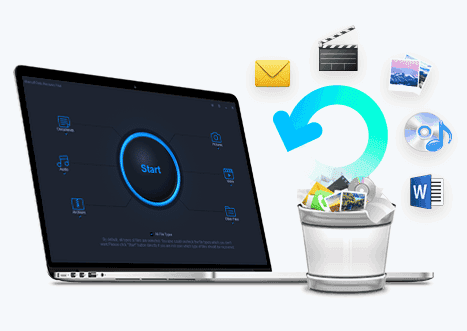 It’s fully safe, easy to use and user-friendly software to help you completely and quickly recover deleted videos from webcam on Mac or Windows. It can recover deleted videos from hard drive/partition, external hard disk, RAW drive, SD card, USB drive etc. Step 1. after launching the program, you need to choose the data that you want to scan from your computer. In this case, as you want to recover lost webcam videos, just select "Videos" and unselect any other option. Then click on the "Start" button to proceed. Step 2. On the this step, you will find a list of drives from your computer. 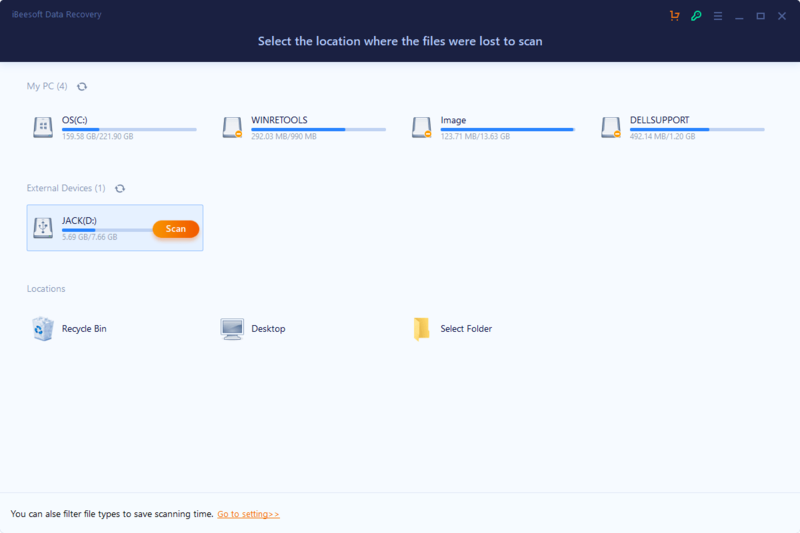 Just select the one that contains your webcam videos and click on the "Scan" button to start scan and recover deleted webcam videos. Step 3. The software will scan your computer drive and display all the data that you selected to recover on the first step. From here you need to check your webcam or CCTV videos from the left side menu and choose the videos you want to recover. After that, you need to click on the "Recover" button from the top right corner of your screen. You need to wait for some time till the recovery process completes. The time will depend on the file size that you are recovering. Within a very short time, all your webcam or CCTV videos will be recovered webcam videos on your computer. There are various possible solutions for why my webcam is not working. Here are some of them. You need to know your webcam is external, make sure it’s properly plugged in. Try to unplug and re-plug it. Also, try plugging the webcam into a different USB port. If your webcam is working properly on skype, facetime etc. then the webcam hardware is working and the problem is maybe related to software. Close any other applications currently using the webcam. Only one application at a time can use your webcam. If your webcam needs a software update, you need to test it by visiting www.testmycam.com or www.onlinemictest.com/webcam-test/ on a web browser. Just make sure your webcam software is up to date. If your computer or laptop gives you a message like "No Device Found" or "No Webcam Found" you can try rebooting your computer or laptop. If the webcam freezes during the facial scan, the problem is most likely related to webcam drivers. You can easily reinstall and update the drivers of your webcam in two ways. You can do it by running the "Windows Update Manager" in your computer or you can install directly from a driver downloaded from the laptop manufacturer's website. Here is how you can do it. First, you need to open "Control Panel " and then select "Add a device". The "Add a device " window will open and Windows will automatically search for devices connected to your system. Now you need to click on the webcam name that shows in the search box and then click on "Next ". You need to choose if you want Windows to search for the webcam device driver using "Windows Update" by using the Internet or if you want to have the device manager search for the driver using a disc supplied by your laptop manufacturer. You can find most drivers on the system recovery disc provided with your laptop if you want to add the driver from the provided disc. Select your choice and then click "Next" to proceed. You need to let the computer to install the driver and then restart the system for the webcam to be recognized. You already know how to recover deleted webcam videos and recover deleted video from CCTV. It’s really easy when you know that you have the best tool that can give you a guaranteed result. So without wasting any more time, start using the iBeesoft Windows or Mac data recovery tool to recover deleted CCTV footage.